Calling all women entrepreneurs! If you’re looking to take your business to the next level, the WE Talk Business Boot Camp is for you! Have you been in business for a few years and are looking to expand your business? Do you want practical advice to reach the next level in your journey? Are you looking for an opportunity to strengthen your knowledge, acquire new tools and expand your network? As part of the Women’s Entrepreneurship Strategy, BDC is holding a free one-day intensive boot camp by and for women entrepreneurs on January 29th in Vancouver and Kelowna on January 31. This workshop is designed as a one-day intensive program by and for women entrepreneurs, this not-to-miss boot camp is the right opportunity for you to build a better business and become a stronger entrepreneur. The event is free and seats are limited – Register NOW! January 29, 2019 at Fairmont Pacific Rim Hotel. Register HERE. January 31, 2019 at Four Points by Sheraton Kelowna Airport. Register HERE. You are a woman entrepreneur. You are the owner or majority shareholder of a company. Your company has existed for two years or more. Your company has annual revenues of $250,000 or more. Your company has three or more employees. You have a strong desire to grow. At the end of the workshops, you will be invited to participate in an informal networking session and cocktail. The reception will give you the opportunity to meet with local and national organizations dedicated to women entrepreneurs. It will be the perfect occasion to connect with those who offer services that meet your needs. Startups and entrepreneurs are making big gains throughout the Kootenays. If you have a business or idea, here are some valuable programs to help you get the support you need to join them! If you’ve got a new business or a great idea you’re working to bring to market from here in the Kootenays there is a lot of support out there to help you make it happen! We believe that entrepreneurs create significant community and economic benefit, and programs such as these are fundamental to helping pave the road to growth and success. Startup Basics offers targeted skills coaching and individualized action plans developed by experienced Executives-in-Residence and supported by industry experts. If you are an early-stage entrepreneur and need to learn more about business and startup fundamentals you may be a great fit for the Startup Basics Program. Entrepreneurship can seem a daunting road for those new to the journey. The Startup Basics Program helps minimize the fear by providing the tools to get started, get validated, and get to market. This program brings skill progression and light-touch mentorship to help early-stage entrepreneurs structure and curate their ideas. All startups and growth stage companies start at the idea stage and nurturing in this phase of the process is an essential service in a productive ecosystem. 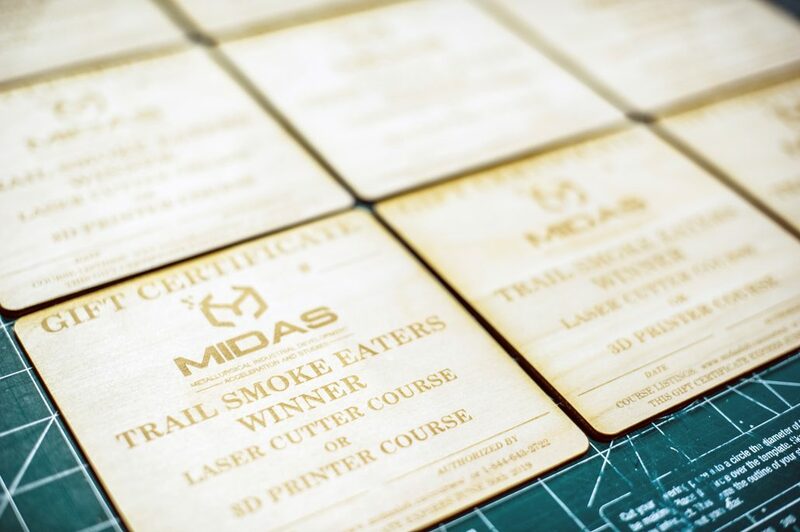 This program will serve you best if you’re already in the early stages of your business, armed with an idea or are seriously considering how you’re going to build your company. BC Venture Acceleration Program helps entrepreneurs accelerate their growth. The BC Venture Acceleration Program is a paid, structured venture growth program designed to guide, coach, and grow ambitious early-stage technology entrepreneurs, effectively growing their technology ventures. The program helps entrepreneurs accelerate the process of defining a proven business model based on a set methodology and set of best practices for growing technology companies. It is delivered by a team of Entrepreneurs in Residence (EIRs) and supported by a province-wide network of partners and entrepreneurs. The goal is to drive economic development and job creation in the province of BC by accelerating the commercialization of technology, resulting in the rapid growth of technology ventures. Is your company already showing some revenue and investment potential? The RevUp program may be for you! The RevUp program allows founders and CEOs, as well as their management teams, receive hands-on assistance from a team of experienced Entrepreneurs-in-Residence (EIRs), “been there, done it” technology and business professionals. The ideal RevUp clients is a company that is 1. growing; and 2. creating a new technology product in sectors such as Clean technology, Agricultural technology, Life Sciences, Information & Communications (software) or Advanced Manufacturing. KAST delivers the RevUp program with support from the National Research Council’s Industrial Research Assistance Program (NRC-IRAP) and Accelerate Okanagan. KAST is a member of the BC Acceleration Network (BCAN) of 12 technology accelerators, from which we can pull EIR expertise to meet your growing company’s specific needs. Entrepreneurs in Residence EIRs are experienced and knowledgeable professionals. Businesses in the program are assigned a team of EIRs who become their primary advisor and coach. 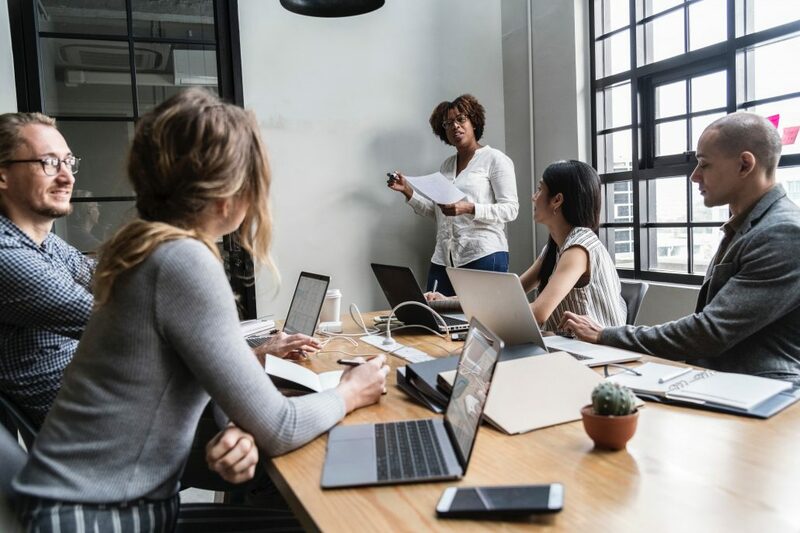 EIRs can source the specific talent sets your company needs via a combination of supplementary EIRs, subsidized consulting talent and subsidized targeted staffing. Start the year off right and set some important New Year’s resolutions to improve your quality of work life and bring your business to the next level. It’s that time of year again… recovering from the Holiday rush while making a little time to take stock, reflecting on the past year while planning for the New Year to come. This year, let’s see if we can be in the fortunate 8% of us that will actually stick to and achieve our New Year resolutions, personally and when it comes to our business. Here are a few resolves that should be relatively easy-to-keep, providing for some serious bang for your entrepreneurial buck. When was the last time you made a thorough review of your website? How long has it been since the last update? For many business owners, this is an easy task to neglect. You’ve paid to create a beautiful website, then it’s forgotten. Reduced to a simple, digital business card. Given Google’s penchant for fresh content, it’s important not only to consider a redesign if your online presence harkens back to 2004, but to provide consistent updates (ie. blog) to keep the search engines, and your placement on them, happy. Deadlines are important, no question, but for 2019 let there be no ‘whoosh!’ as deadline after deadline meets the same desperate fate. A particularly common mistake among business owners, entrepreneurs, and contractors is giving customers and colleagues unrealistic completion dates that either simply can’t be met, or add so much to the plate as to leave you overwhelmed and under undue stress and pressure. You may be surprised to find that most people will be happy to wait a little longer for a project to be completed thoroughly and high quality. If you’re in the habit of promising deadlines that are too aggressive, make this the year that you step it back, and take the old adage, “under promise and over deliver” to heart. Give yourself more time and you’ll be not only fulfilling your promise but bringing your A-game with far less anxiety. Most businesses, and individuals for that matter, have files or notepads chock full of unfinished outlines, plans for potential new endeavours, and ideas scribbled. This may be a great time to go back and review the ideas and concepts of past potential projects, both for inspiration and possibly even new direction. Chances are, one of them could be a viable project to revive and execute. Despite stepping out into the unknown as an entrepreneur, there will still be fears that hold you back from fulfilling the potential of your business. Chances are there is probably something that you know will be good for your business, but are just afraid to try it. Fear of failure is a biggie! As hard as it may be, embracing failure is vital to the growth and evolution of your business. It will fuel learning and exploration as well as help to propel you forward. Failure means movement – it will be an essential step of your path to success! Fear of change, or upsetting the applecart, also trips up entrepreneurs. For instance, you may be feeling the need to hire – a move necessary for your growth – but are fearful of the investment. Perhaps, this year, take another look at your circumstances as well as the role you need filled and take the leap! No business can survive if it remains static. An object in motion stays in motion, after all. Your clients expect from you the best, up-to-date and relevant product or service. As an entrepreneur or startup, you need to keep vigilantly aware of trends and innovations in your market. Don’t wait for a crisis to motivate you forward! Innovation needs to be part of your business philosophy and plan to ensure you remain competitive. Develop and initiate a plan that includes regular brainstorming and idea sharing. To continue to progress and grow you need to approach your business, service, or product in an iterative, ever-evolving, and dynamic manner. If it’s been a while since you’ve looked at the books – examined the budget – it’s high time! Analyzing your budget could identify over, or unnecessary spending, for instance, potentially saving your business significant amounts of money. Cut costs wherever you can! This is a great time of year to evaluate where you could improve your own skills and abilities to contribute more effectively to your business. Identify your weaknesses and spend a little extra time to overcome them. Look at some of your business activities. Do you rely on advertising to grow your business? What is the status of your campaigns? Are they effective? 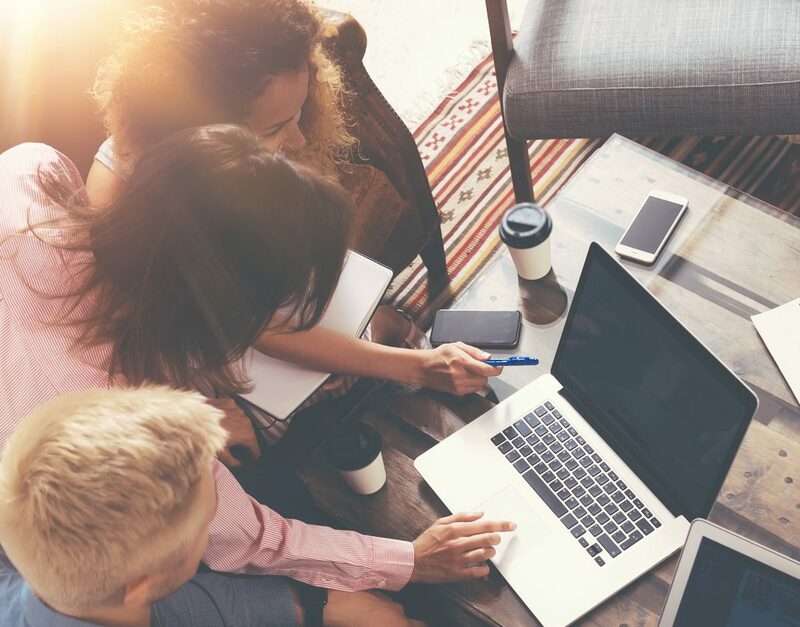 There are online courses and, likely great training opportunities right in your community, to help you manage your advertising streams more efficiently. Are you adequately up-to-date and in touch with your market or target audience? Look at what the competition is doing and see what they might be doing to stay on point. Probably one of the most challenging to resolve, particularly for entrepreneurs, startups, and business owners. Unsurprisingly, we’re typically workaholics, so wholly motivated by our work that we don’t know when to stop working. 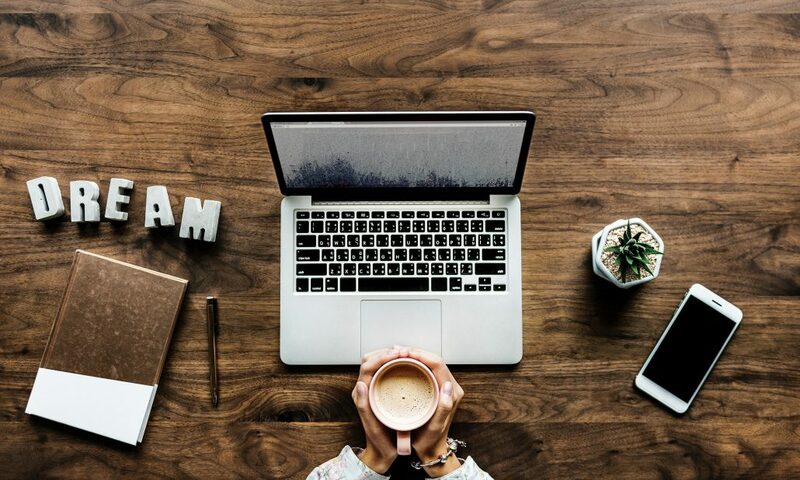 There’s always something that demands a business owner’s attention, but the key to success is understanding that the exhaustion and stress that come with working constantly, with few or no boundaries, won’t be in your long-term best interest. Either for your health or that of your business. Determine a consistent time to STOP work each day. And, unless there’s a fire to put out – which there occasionally can be! – you will be otherwise unavailable to address work calls, retrieve or answer emails, or run work-related errands. Christmas Eve Fun: Battle of the Santa Tracker! Tracking Santa around the world on Christmas Eve has become part of many family’s Holiday tradition. But, before you bookmark, anticipating the arrival of Father Christmas into your hemisphere, let’s see which Santa Tracker is best! It’s Christmas Eve and, among the various traditions, one of the most popular and fun for kids and parents alike is tracking Santa’s course around the world throughout the day. But, with a choice of trackers online, which one will give you the most accuracy following St. Nick? And the most fun! Because it’s no longer just about passively locating Father Christmas on a map, it’s about the interactivity, the games, the experience. So, which site should you bookmark today? 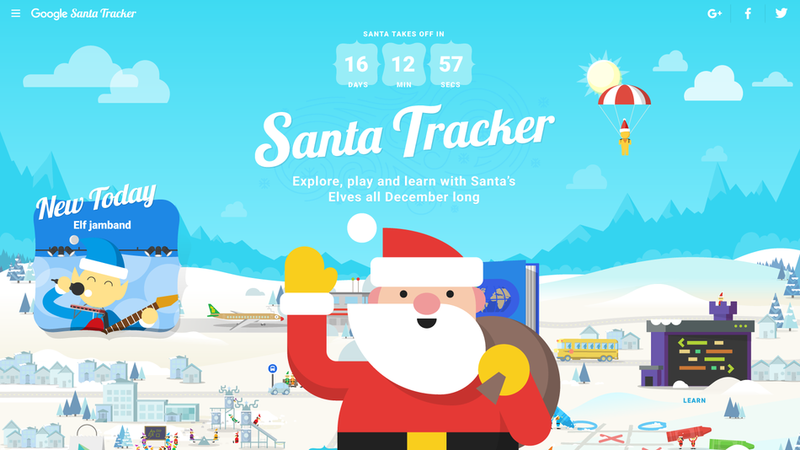 In addition to longtime services NORAD and Google Santa trackers, Plane Finder – online along with its iOS and Android apps – has added Santa’s route to the thousands of airplanes they typically follow on December 24th. Given that NORAD and Google are the long-established names in the game, tracking Santa’s worldwide Christmas travels for years, let’s see which of the two brings not only the best tracking system to the fore but the best opportunities for Christmas Eve fun as well. NORAD’s tracking system might literally be your grandmother’s Santa tracker! Thanks to a happy accident, the North American Aerospace Defense Command, or NORAD, has been tracking Santa for 63 years. In 1955, Colorado-based Sears Roebuck & Co. misprinted a telephone number in an advertisement for kids wishing to talk to Santa. This typo sent dozens of kids calling the Continental Air Defense Command center instead. Colonel Harry Shoup, rather than getting annoyed with the mistake, embraced the Christmas spirit, and joined in! He and his staff spent the night answering the children’s calls providing updates as to Santa’s whereabouts during the evening. Thus began the tradition. In 1958, shortly after NORAD was created, they continued with the Christmas Eve fun and have kept it going for over six decades. NORAD is able to continue the tradition thanks to the hundreds of volunteers that stop by the Santa Tracker command center to take children’s calls. Even the Former First Lady, Michelle Obama, volunteered to answer endless Santa questions for over six years. Yes, even the Trumps joined in during the first Christmas of their tenure in the Whitehouse, in 2017. 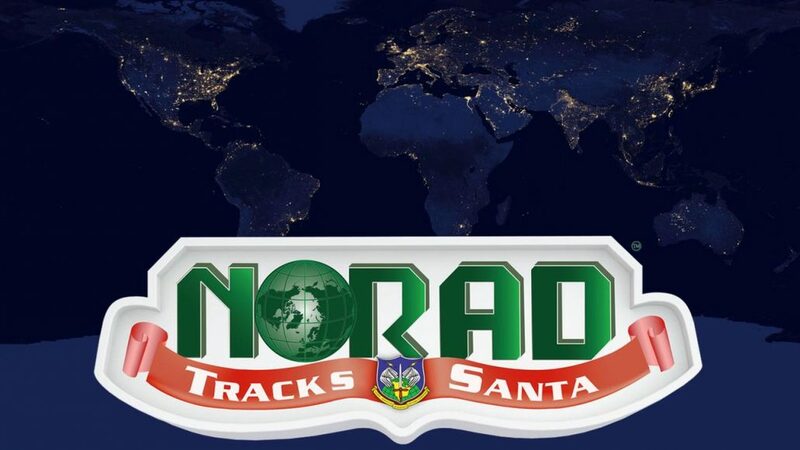 Visit the NORAD website to follow Father Christmas as he delivers presents around the world. When you arrive be sure to spend some time in Santa’s Village to learn about different holiday traditions. On the map, not only can you see exactly where he is, but you can also even keep count in realtime how many gifts he’s delivered! You can also see where Santa was last seen and where he’s heading to next. You get the choice of 3D or 2D views to accommodate your connectivity or your map viewing preference. And while NORAD’s website may appear rather dated, not as bright, vibrant or modern as Google’s, the animations are cute and you can enjoy the music player located at the bottom and the Santa Cam of videos from his travels around the world. The NORAD tracker is a sentimental favourite, for sure! Not nearly as long or storied, Google’s tracker has been around since 2004. Like NORAD, it’s not simply a tracker of the Big Man, it doubles as a hub of activities. Of course, Google also provides Santa’s Village where your children can visit to play games and learn about holiday traditions around the world. With updates over recent years, it’s quite easy to navigate – more than previous iterations and more than NORAD. There’s a clear timeline for each day in December, leading you along a path to Christmas Eve. You can also click the menu button in the top left of the page to see what content is new today. Not surprisingly, Google offers great content and the games are fun and there’s even the opportunity to learn code which makes it even that much cooler! You can watch Santa prepare for takeoff on Christmas Eve. Be sure to check out the Santa Selfie activity, which lets you shave Santa’s beard and blow dry it – so fun! You can even change its colour to yellow or pink or whatever to help Santa get ready for the big night. On Christmas Eve, both the website and app show a countdown. Whichever tracker you choose as you anticipate Santa’s arrival will bring you and your kids a ton of fun, so simply enjoy the imaginative and creative combination of technology and tradition. 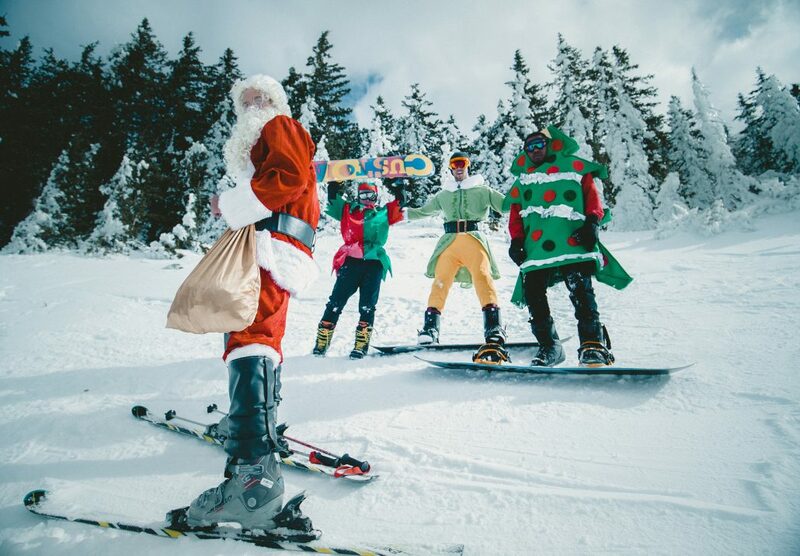 We wish you happy Santa tracking and a very Merry Christmas and Happy New Year! http://kast.com/wp-content/uploads/2018/12/KAST-battle-of-the-santa-trackers.jpg 1737 2500 Tracy Connery http://kast.com/wp-content/uploads/2019/03/KASTLogo-2019-white-lo-1.png Tracy Connery2018-12-24 08:23:222019-03-04 06:55:15Christmas Eve Fun: Battle of the Santa Tracker! 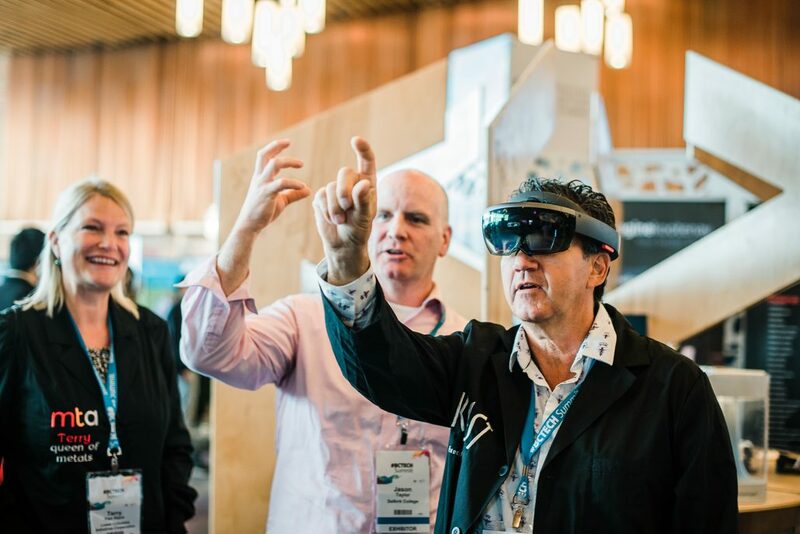 Attend #BCTECH Summit 2019 – With Support from CBT! #BCTECH Summit 2019 March 11th – 13th, 2019, Vancouver, B.C. Gather with the best in BC (and beyond!) tech & innovation! If you haven’t yet been to the #BCTECHSummit, Western Canada’s annual innovation event, it’s a must if you or your business is involved in any manner of science, technology, and/or innovation. Take advantage of this great opportunity from Columbia Basin Trust, offering valuable financial support to attend #BCTECH Summit 2019. CBT is sending 50 Basin-based tech companies to attend #BCTECHSummit, by offering up to $1,000 to offset expenses. have limited financial resources to attend the event. Mileage (reimbursed at $0.54 per kilometre). The application for the #BCTECHSummit travel bursary is online. Stay tuned for details regarding a fun #BCTECH Summit get-together – networking, mingling, connecting – for Koots attendees! http://kast.com/wp-content/uploads/2018/12/Tracy-Connery-Photography-BCTECHSummit-MIDAS-SMRT162.jpg 1339 2005 Tracy Connery http://kast.com/wp-content/uploads/2019/03/KASTLogo-2019-white-lo-1.png Tracy Connery2018-12-17 07:22:142019-03-04 06:55:20Attend #BCTECH Summit 2019 – With Support from CBT!